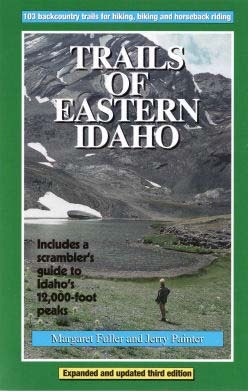 Trail Guide Books is a small independent publishing house and book distributor located in Weiser, Idaho. 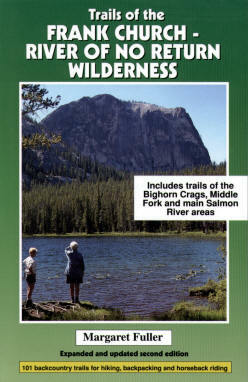 The publisher specializes in outdoor guidebooks to the Intermountain West, particularly hiking Idaho trails. 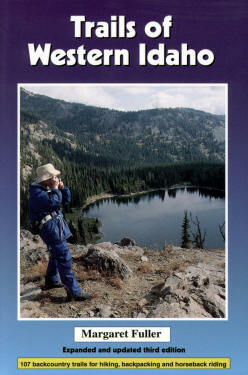 Well-known Idaho author and hiker, Margaret Fuller, is Trail Guide Books’ primary author. Her award-winning books provide hiking, biking, and horseback riding enthusiasts with the information needed to explore Idaho's spectacular mountains. The other main author is Jerry Painter, who is an outdoor columnist for the Idaho Falls Post Register and has written several hiking guidebooks. Each hiking guidebook is kept up to date with new editions. The latest one, the Trails of the Sawtooth and Boulder-White Cloud Mountains(6th edition) contains GPS coordinates for all trailheads. All Trail Guide Books’ guidebooks give the trip distance, elevation gained, elevation lost, highest point, topographic maps needed, time, difficulty, and directions for reaching the trailhead. They also include history and natural history of the areas, ways to avoid damaging the environment, and information on safety. Each trail write-up begins by describing the beautiful scenery that will be seen on the trip. NEW! Published in July, 2017 with 16 new hikes and all 3 new wilderness areas included (Cecil d. Andrus White Clouds, Hemingway-Boulder, Jim McClure-Jerry Peak)! “This region is special to me. I hope this edition of Margaret's guide will help you find and share the very special Idaho experiences in store for visitors to the Sawtooth National Recreation Area. 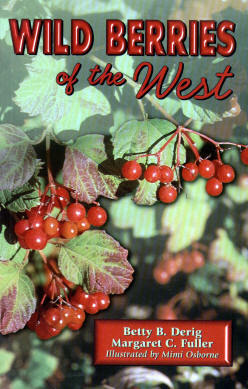 It's a worthwhile addition to literature on how to enjoy Idaho's unique quality of life. Margaret's book is one that has proved its value to me many times over the years.” Cecil Andrus, former Idaho governor and Secretary of the Interior, March, 2017. "Idaho's grand lady of the mountains has come out with the 5th edition of Trails of the Sawtooth and White Cloud Mountains." -- Pete Zimowsky, “She Wrote the Book on Hiking the Sawtooths”, The Idaho Statesman, May, 2011. Web design by Sheree Sonfield. Please contact if problems.